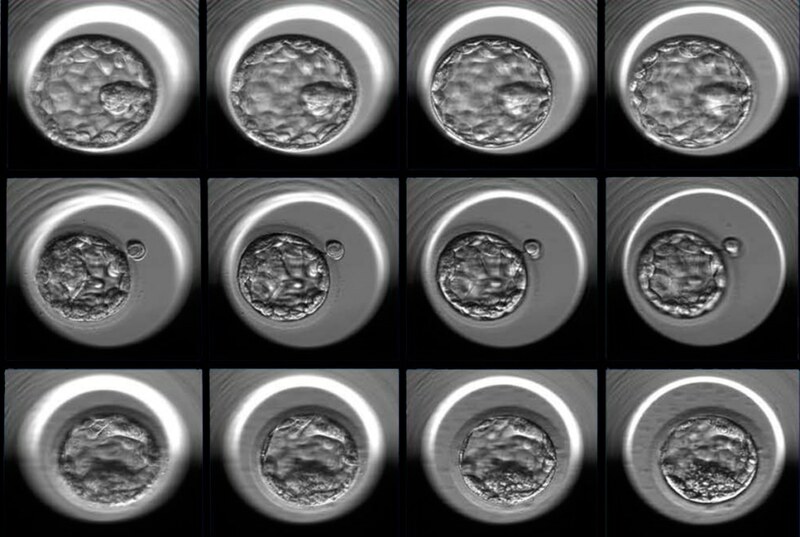 This novel approach examines time-lapse images of early-stage embryos. It can possibly enhance the success rate of IVF (in vitro fertilization) and, at the same time, reduce the risk of multiple pregnancies. It has been estimated that approximately 8% of women of child-bearing age suffer from infertility problems. Although millions of individuals have given birth through the IVF procedure, the average success rate in the U.S. is only about 45%. In the latest study, reported in NPJ Digital Medicine on April 4th, 2019, researchers utilized 12,000 photos of human embryos that were captured exactly 110 hours following fertilization so as to train an artificial intelligence algorithm to differentiate between good and poor embryo quality. In order to reach this designation, a grade was initially assigned to each embryo by embryologists that accounted for a number of aspects of the appearance of the embryo. Next, the researchers carried out a statistical analysis to correspond the embryo grade with the possibility to progress to a successful pregnancy outcome. If the chances were higher than 58%, embryos were considered as good quality but if the chances were less than 35%, then they were regarded as poor quality. Subsequent to training and validation, the algorithm, called Stork, has the ability to categorize the quality of a new series of images with an accuracy of 97%. By introducing new technology into the field of IVF we can automate and standardize a process that was very dependent on subjective human judgement. This pioneering work gives us a window into how this field might look in the future. Dr Zev Rosenwaks, Director and Physician-in-Chief, Ronald O. Perelman and Claudia Cohen Center for Reproductive Medicine, NewYork-Presbyterian/Weill Cornell Medical Center and Weill Cornell Medicine. Dr Rosenwaks is also the Revlon Distinguished Professor of Reproductive Medicine in Obstetrics and Gynecology at Weill Cornell Medicine. Presently, selecting the embryo with the most optimized possibilities of developing into a healthy pregnancy is a subjective process. There is low consensus even among skilled embryologists on how to estimate the feasibility of a single embryo based on its appearance at the blastocyst stage, wherein it contains just 200-300 cells. We wanted to develop an objective method that can be used to standardize and optimize the selection process to increase the success rates of IVF. Dr Nikica Zaninovic, Study Co-Senior Author and Director, Embryology Laboratory, Center for Reproductive Medicine, Weill Cornell Medicine. In a partnership between the Caryl and Israel Englander Institute for Precision Medicine and the Center for Reproductive Medicine at Weill Cornell Medicine, the researchers spent over six months assessing about 50,000 anonymized images, denoting 10,148 human embryos, obtained by time-lapse photography more than seven years. The embryologist-assigned grade combined with the hindsight information of the pregnancy outcome could enable the researchers to categorize the embryos as poor, fair, or good quality. Eventually, the team utilized two sets of 6,000 images, poor or good quality, to train the algorithm on how to categorize a new set of images that are presented to it. This is the first time, to our knowledge, that anyone has applied a deep learning algorithm on human embryos with such a large number of images. Dr Pegah Khosravi, Study Lead Author and Postdoctoral Associate, Institute for Computational Biomedicine, Weill Cornell Medical College. Deep learning is a type of artificial intelligence method that is more or less modeled based on the brain’s neural networks, which examine data in growing layers of complexity. When new information is fed to the computer, its potential to detect the required patterns—whether they are the cells consisting of a lung cancer tumor or the aspects of a healthy embryo—enhances automatically. Moreover, the dimension of the training data set is highly crucial to the success of the algorithm, with additional information resulting in more improved outcomes. While the new algorithm can choose good quality embryos with excellent precision, earlier studies have proposed that just 80% of the pregnancy success rate depends on the quality of embryos. Particularly, maternal age is linked to a diminished rate of effective implantation of embryos in the uterus. Usually, multiple embryos are implanted by fertility specialists in order to increase the chances of having at least one successful birth; however, such a process is not accurate and can lead to multiple pregnancies, which is accompanied by certain risks, for instance, maternal complications, premature delivery, and low birth weight. As a result, the researchers devised another computational method that can consider the quality of multiple embryos as well as maternal age to establish the most optimized combination to attain one live birth. Utilizing clinical data for 2,182 of the embryos, the team produced a decision tree to evaluate the rate of successful pregnancies by applying a combination of maternal age and embryo quality, as the most significant clinical variable. The investigators also gave a probability analysis with an aim to improve the selection of embryos and thus increase the chance of single pregnancy. At present, the algorithm serves only as an investigative tool and the team is planning to integrate technical parameters to further enhance it.